This custom 2.5 x 2.75 tooth dental fridge magnet – 20 MIL works great for dental marketers of all budget types. This magnet offers true visibility and identity to their campaign. It not only lends them an impressive working space, but also offers them permanent fixture over refrigerator doors in the house. Being offered in extremely attractive price range, marketers can also seek it for bulk gifting at smaller prices. 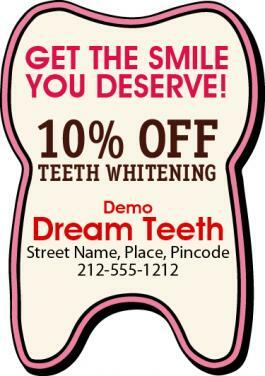 Request a quote to know wholesale price savings for these promotional 2.5 x 2.75 tooth dental fridge magnet – 20 MIL. Imprint area – 2" x 2.75". Product Size : 2.5 in.x2.75 in.